Hopefully, my menswear thrift shopping tips have helped you to build a low-cost, high-quality wardrobe containing the essentials for dressing well. 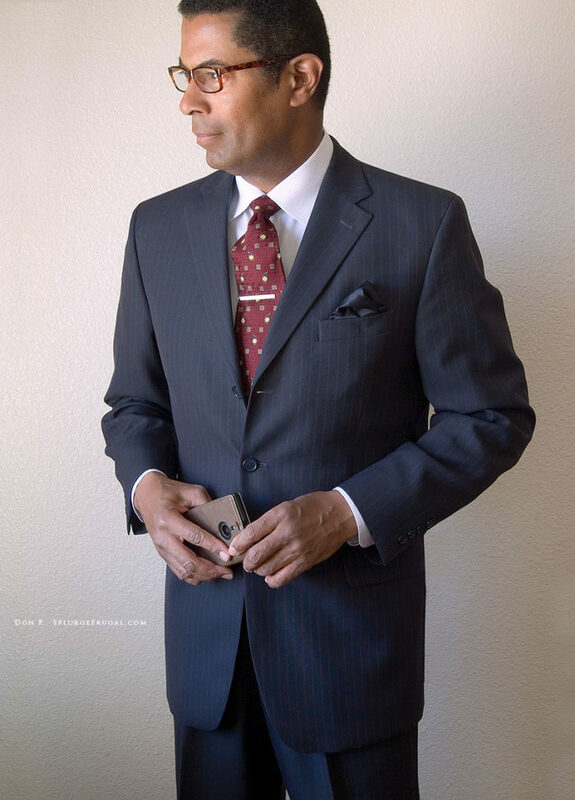 You have acquired a few classic suits and sports coats that will cover your essential business/style needs. Now, you want to have a bit of fun. What type of suits and blazers/sportscoats can you add to round out your wardrobe? 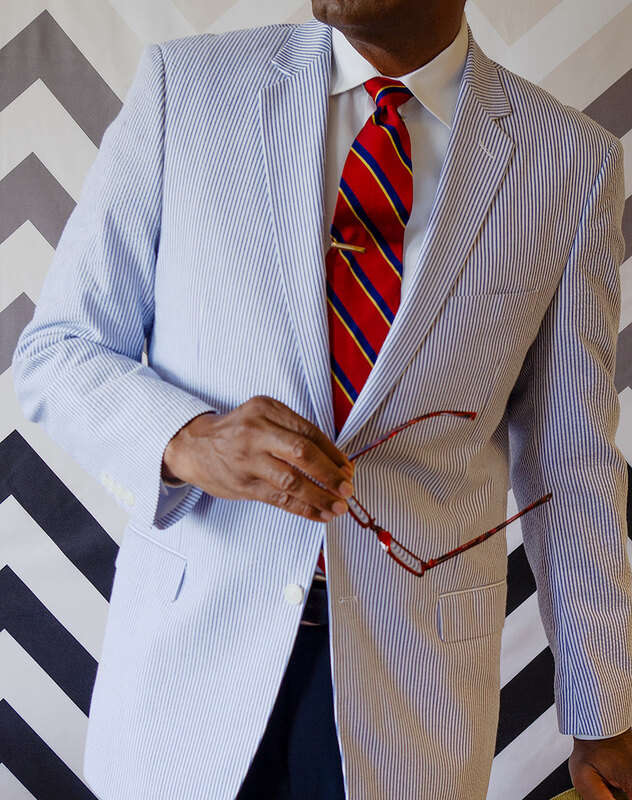 Now that summer is here, look for linen, cotton or seersucker suits and sportcoats that can be mixed and matched as colorful summer outfits. 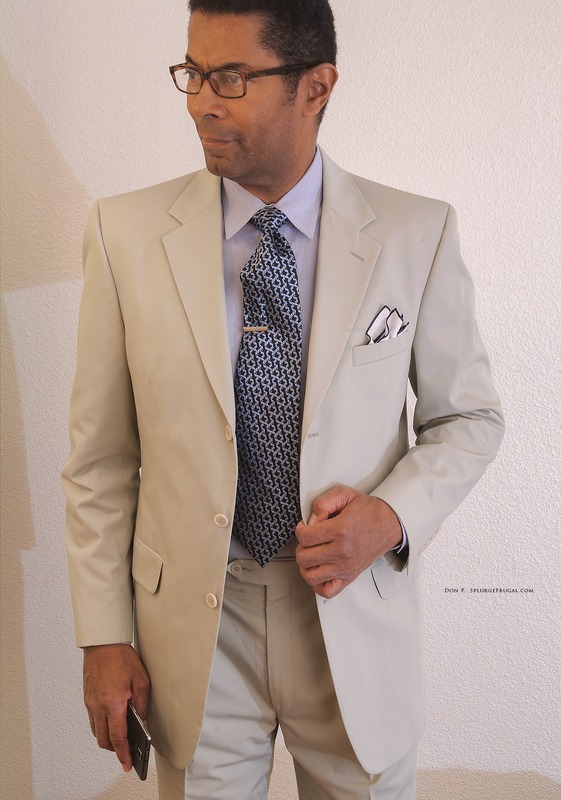 Also, look for bamboo or silk/linen blend fabrics in sportcoats. Bamboo is a lesser-known but very breathable lightweight fabric that holds brighter colors well and does not wrinkle easily like linen. 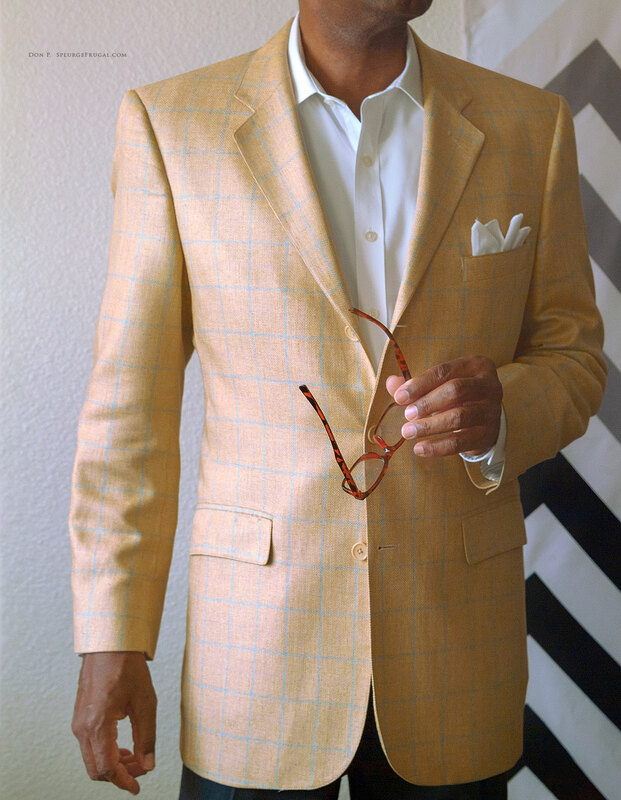 Also, silk/linen blend fabrics tend to have more interesting colors and patterns than pure linen ( I love windowpane pattern sportcoats in silk/linen blends. 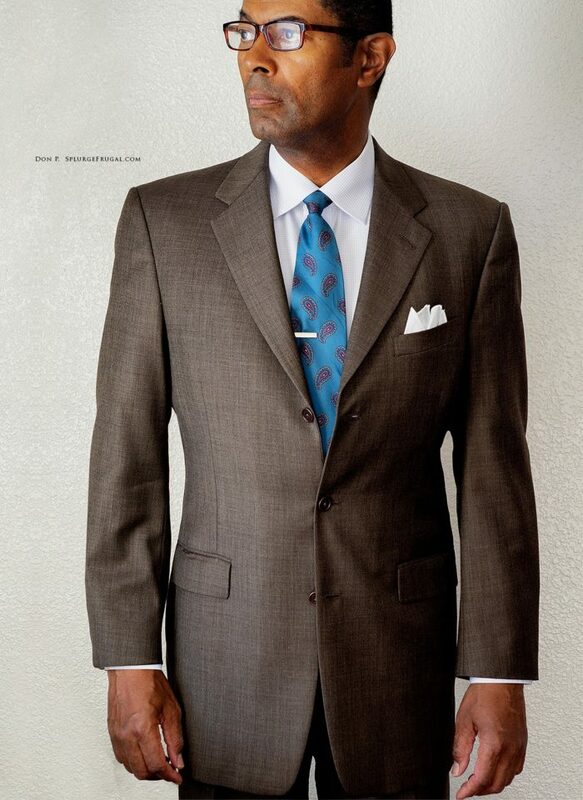 All of the better menswear brands offer suits and sportcoats in these fabrics. They tend to command a higher price on eBay than their wool equivalents when purchased second-hand. However, with a bit of patience, you can find some great deals. I am always on the lookout for double-breasted blazers and suits when I thrift. 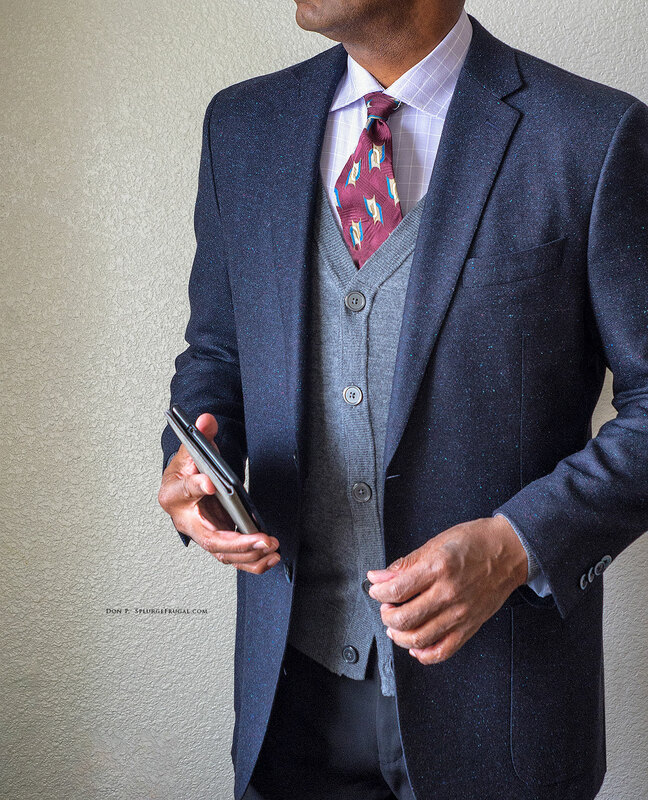 A well-tailored double-breasted jacket has timeless elegance (in my humble opinion). I search for more interesting colors and patterns at the right price. 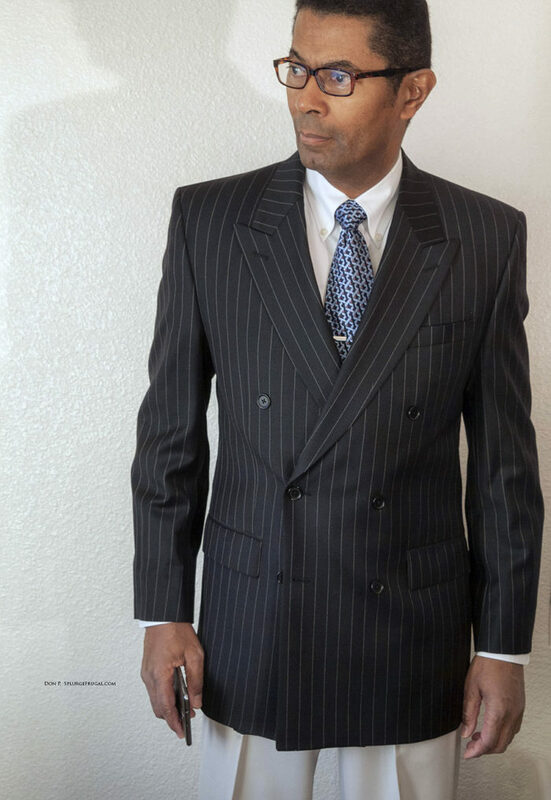 For example, the Bachrach Super 120’s lightweight wool black pinstripe double-breasted suit shown at the top of this post was purchased at a local Savers thrift shop for $16.00 in like new condition. I purchased the matching pants for $6.00 but discovered that they could not be altered to fit me well. However, I wanted to hold on to this jacket. Even though pinstripe suit coats are never worn as blazers ( a fashion faux pas), this one works very well when matched with a pair of white silk Jos. A. Banks slacks (also purchased at Savers Thrift Shop for $5.00). 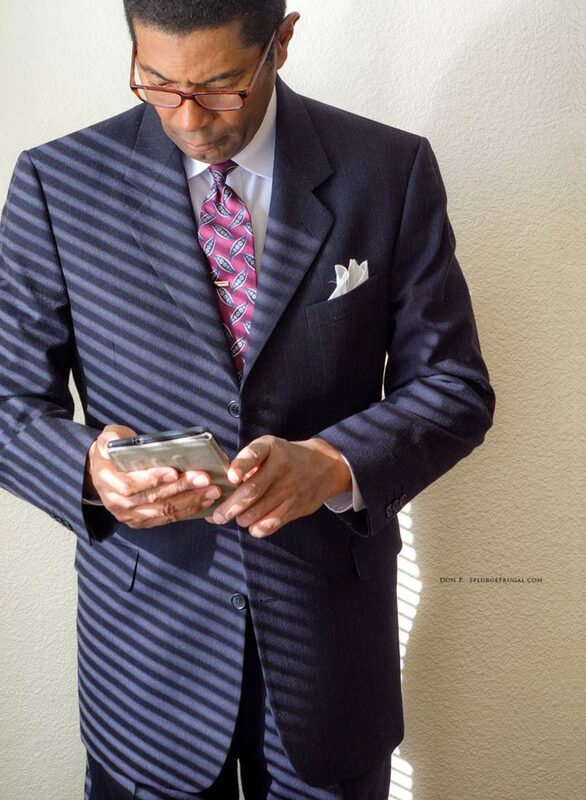 The color of the pants picks up the white color of the pinstripes in the jacket. The pairing reminds me of a look that was popular in the 1930’s. Seersucker is one of my favorite fabrics for summer wear. 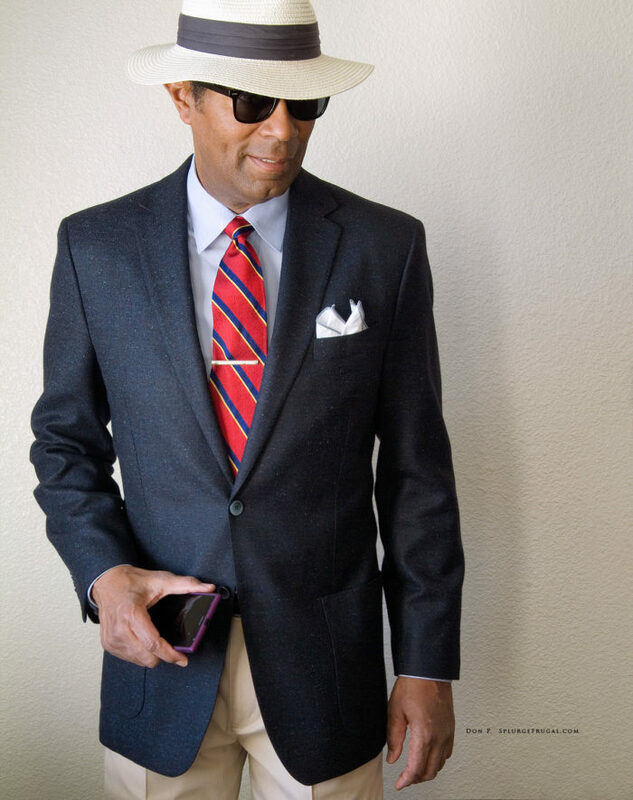 The sportscoat shown here is an inexpensive brand (Saddlebred) that I purchased on Poshmark.com (new with tags) for $12.00. It had a boxy silhouette typical of American sack suits, so I closed the rear center vent and slimmed the silhouette to give it a more Italian look. I taught myself to do alterations on all of my thrifted clothing. Needless to say, this keeps my thrifting costs as low as possible! The classic blue blazer is considered a basic essential in a man’s wardrobe. Here is a blue wool blazer with a subtle speckled pattern that can add a bit of variety to a wardrobe that already contains the basics. This blazer is made by Paul Betenly. It was purchased second-hand on eBay for $17.00. 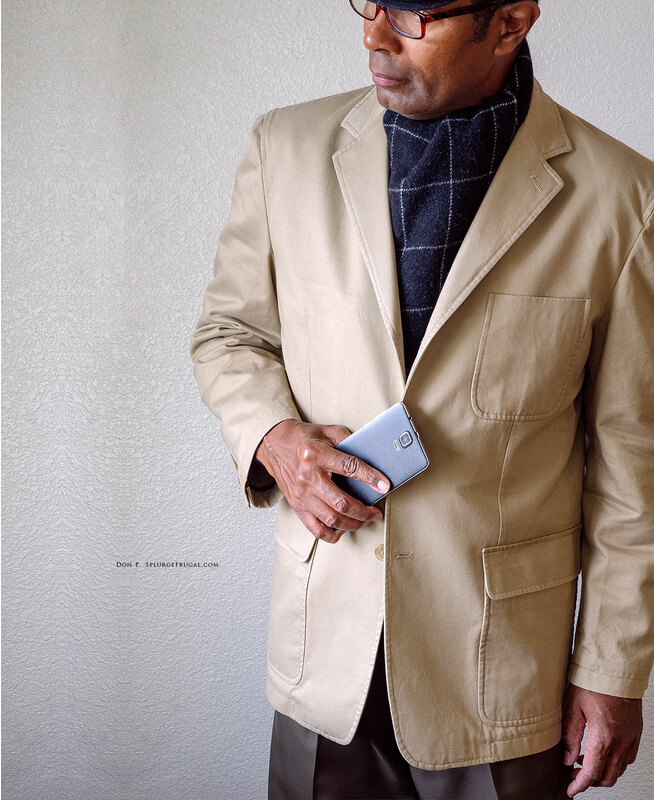 A cotton khaki sportscoat is a versatile jacket that looks both casual and a bit ‘dressy’ at the same time. 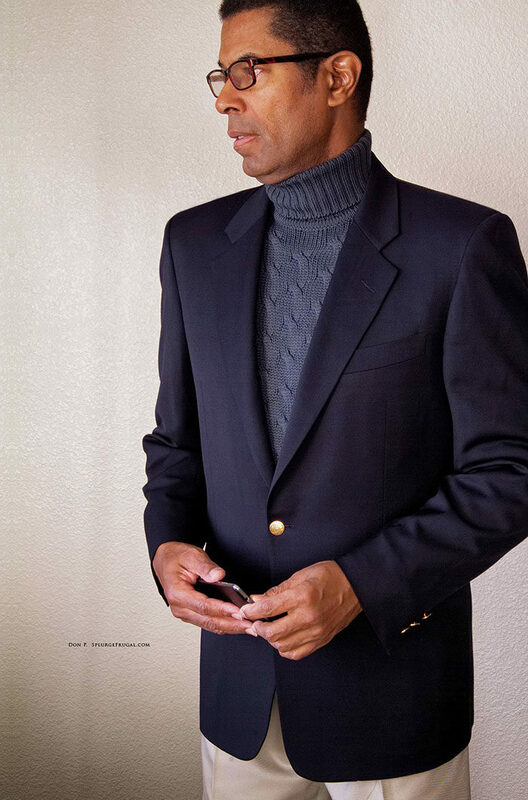 It can work with jeans, sweaters, khakis, and dress slacks. This jacket was purchased second-hand on Poshmark.com for only $8.00. After you have acquired the essentials, the search for more interesting colors, patterns, and fabrics by thrift shopping can add depth to your wardrobe. Thrifting is an adventure! Enjoy the search as much as the rewards! How Much Should You Pay For Quality Men’s Suits?